Oil based Sharpies – I like the medium size the best. 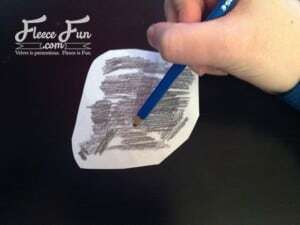 They Sharpies must be oil based – not the regular ones you get in the office supply aisle. I ordered mine off of Amazon here. Wash mug so there is no residue on it. 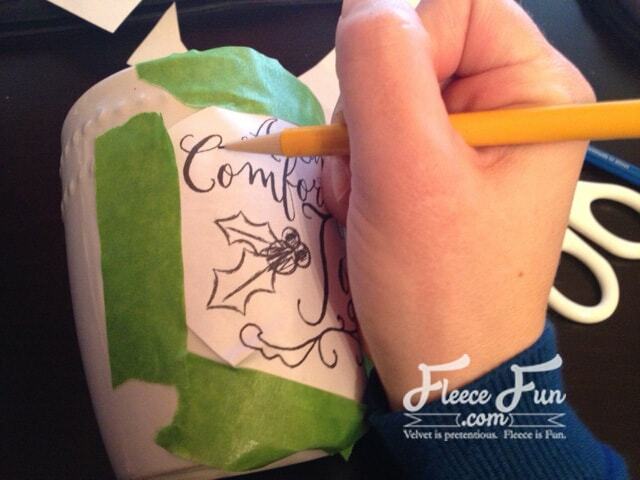 Take the printable you desire, cut out and cover the back with pencil. 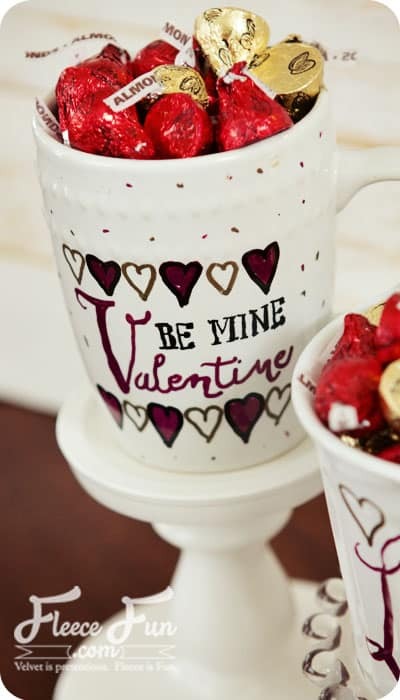 Tape to mug. 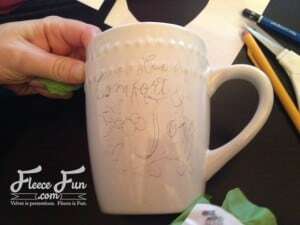 Trace the pattern onto the mug with a sharp pencil. 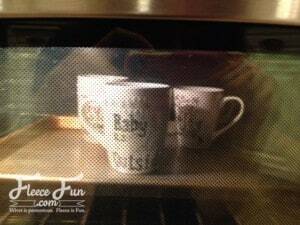 “Cook” the mugs 425 for 45 min and allow to cool in oven. I like to leave mine in it overnight. 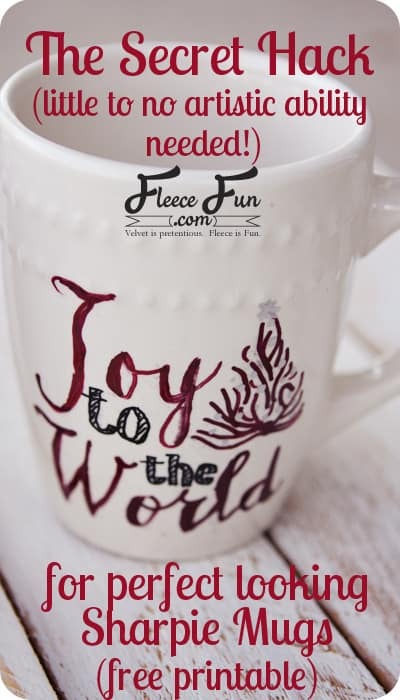 Take out mugs and give to friends with a some homemade cocoa – you can get a recipe here. 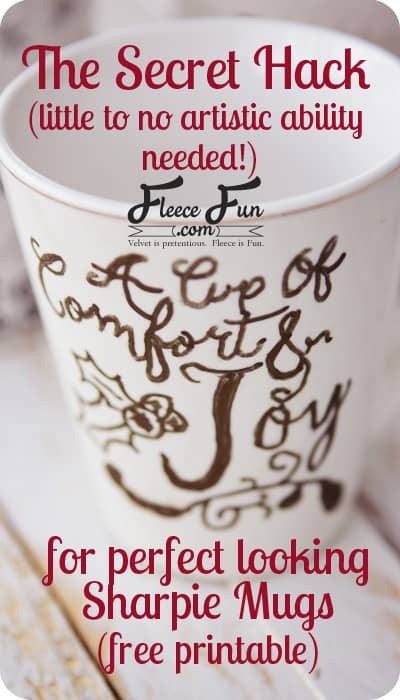 I love your ideas and this coffee mug one came at the perfect time. I broke hubby’s cup a couple of days ago and if I make him a decent looking one maybe I’ll be forgiven, lol. 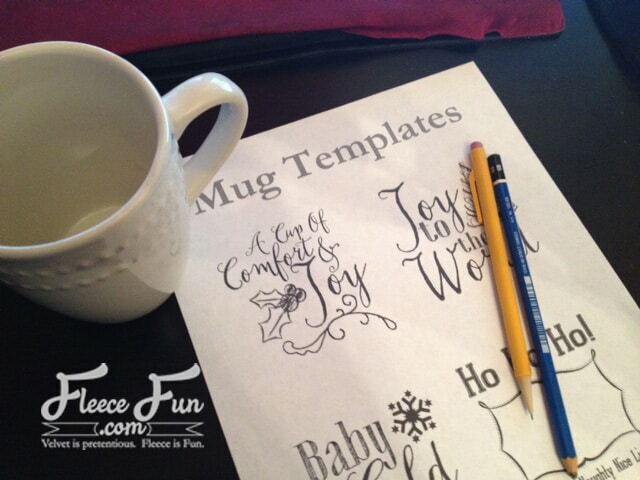 Thank you for sharing all of the projects and tutorials and printables. Merry Christmas!